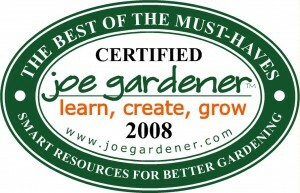 Garden Gate Magazine reviews 5 of last year’s selections. Watch the video. In 2004 the mulch & soil industry adopted standards prohibiting the use of CCA-treated wood in all consumer mulch and soil products. The Mulch & Soil Council® also developed a product certification program to help consumers identify mulches and soils that comply with industry standards and contain no CCA-treated wood. Certified mulches and soils can be found at major retailers and garden centers across the country. They are identified by the MSC Certification Logo on the package. To sum it up, every tester on the jg team was amazed at how tough these lightweight, tactile and long-wearing Atlas Gloves are. Very comfortable, highly durable with plenty of feel…a lot of glove for not a lot of money! The perfect tool to turn compost or scoop up mulch and so much more, without the concern of rusting or the high cost of stainless steel. It’s a lightweight, colorful, all-weather fork that’s always standing by. Finally, a device that prevents those embarrassing and wasteful times of irrigating when it’s not needed. The ET Manager uses real time weather data to override irrigation cycles when watering simply isn’t necessary, saving a precious resource and many dollars. Black & Decker’s line of rechargeable tools for the yard and garden allow just about any project to be completed without ever having to reach for a gas can. Quiet andefficient, these tools are handy, functional and eco-friendly too.